Are you a blogger, a marketer, a freelancer, job seekers or job recruiters. Do you have a company or an organisation to showcase. Or have a prepared articles, posts, tips, motivational speech you will like to reach wider audience in the globe. And you don't have enough in your budget, linkedin is there to help. 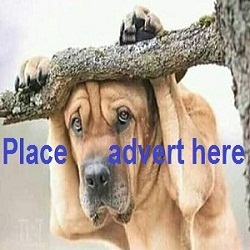 Am not advertising for linkedin rather am telling you the ways you can make use of free free $50 worth advert coupon that linkedin give to get more traffic for your business. Although I don't know the criteria or requirements you have to meet before getting this free $50 coupon from linkedin. But you can apply for free ads coupon on linkedin and check email you submitted. I have received and used mine. I went straight to my inbox and alas 50 coupon is there waiting. I copied the code and held to linkedin to create a campaign account manager. Note: You must add your bank card details before you can use the coupon code. Don't be scared adding your account details no money will be deducted unless you run the campaign more than $50 estimate. This is a platform where you added your account details, look down to see a box where to add the free coupon code. You are good to go, follow the screen instructions to lunch your first ads campaign in linkedin. Below is my ads statistics. 2. Impressions see above picture. It depends on the type of business you do linkedin advert platform ‎is good for impressions ( if converted to sells is huge).